Social gatherings are a critical for building and nurturing relationships. Unfortunately, hearing loss and social gatherings don’t always mix well. This is definitely true if you have untreated hearing loss, but is even true to an extent to those who use hearing aids. 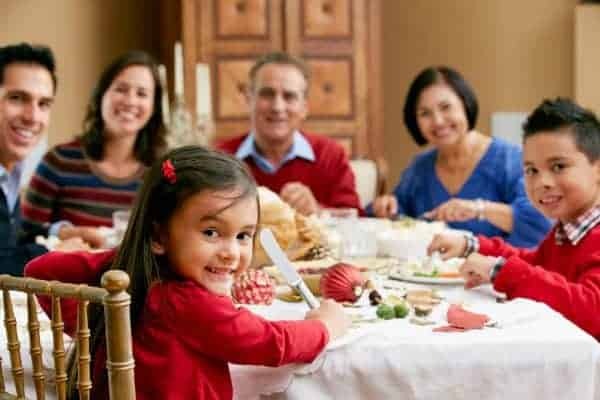 Don’t fret however, I have put this guide together to help you get the best out of any social gathering despite your hearing loss. Hearing aids can have a significantly positive impact on your quality of life as long as they are selected appropriately. You might be aware that not everyone does equally well with hearing aids, which is true. Understanding why hearing aids don’t work is important to understand as it provides you with realistic expectations. You can also not expect that a hearing aid that works well for your friend will work well for you. We have an article to help you find the best hearing aid for you here. If you are not sure if a hearing aids will work for you, then we have an article to help you with that as well. Getting into hearing aids sooner rather than later, has some significant health benefits. Hearing aids have been show to reduce isolation, anxiety and depression. There is also more and more data coming out showing hearing aids can help slow down the impact of dementia and cognitive decline. There are many providers that can help you with your hearing loss out there. As with any other industry, there is a wide range of quality. So how do you find someone that will help you best? The Australian Hearing Aid Buyer’s Guide can help you with that. If don’t have hearing aids or your hearing aids are more than four (4) years old, then now is a great time to consider new hearing aids. New hearing aids offer many advantages over previous generations. These include better sound quality and performance. We even have hearing aids available now that can stream to any mobile phone, Android, iPhone or any other Bluetooth enabled phone or device (in stereo – if you wear two aids). You can read about what has changed in hearing aids over the last 5 years here. If you have hearing aids older that six months old and have not had them checked out by your hearing care provider, now is a good time to do so. If you wear your hearing aids consistently, as you should, they will need a bit of loving care to make sure all is well. Clean the earpiece – give it a little brush off and replace any filters and/or domes. Make sure any tubing on the aid is unkinked and unblocked. Brush off the microphones on the hearing aids. Body oils can often block the microphones, drastically reducing performance in noise. Light brushing should be sufficient. Make sure you are using fresh quality batteries. The best brands are PowerOne and Ray-o-Vac. Make sure there is plenty of time before the expiry date. Use fresh batteries before an important social event. Give your batteries 5 minutes to “breathe” after pulling off the sticker, before closing the battery door. We have a handy guide on getting the most out of your hearing aid batteries. Have your ears checked for wax. Your GP can do this if you are unable to get to the hearing clinic. Book an appointment with your hearing clinic if you feel your hearing has changed. We have some basic video troubleshooting guides available as well. Hearing aids are very capable devices, but they also have limitations. Understanding these limitations can dramatically improve your hearing with them. Hearing aids have a maximum pick up range of about seven (7) metres in quiet, which reduces to about two (2) metres in noise. Make sure you are not too far from the people you are most likely to want to speak with. When hearing aids enter their noise setting, they tend to pick up better in front, than behind you. So ensure that the majority of the noise is behind you and as little as possible noise is in front of you. Keep the person you want to hear in front of you. Consider room acoustics. Sound bounces off walls, so don’t face a wall unless you are at least three (3) metres away from it and AVOID corners. Carpeted rooms will be MUCH better for you than uncarpeted ones. Even a strategically placed rug can make all the difference. Experiment before your guests arrive, by having a radio on and listening to the changes in volume as you move around. Make sure there is sufficient lighting to see the other people’s lips. Even without lipreading training, you can gain an extra 40% or so understanding by looking at someones lips as they speak. Turning the hearing aid volume up is sometimes counter-productive. Your brain will have difficulty comprehending speech if it is overwhelmed. You can often improve hearing in noise, but turning your aids down a bit, rather than up. Experiment. If your hearing aid is the manual type, make sure to switch to the noise program when appropriate. Remember to switch back to the all around program when the noise drops, otherwise you’ll have trouble hearing over distances. Be assertive and ask for clarification if you were not confident in what you heard. It is better to ask than to reply inappropriately. Turn down any background music or move away from it. For every two (2) metres you are away from a sound source, the volume drops by half. Make sure you have a bit of a rest before engaging in a social situation. Hearing loss is tiring and you will have more energy to “listen” if you are well rested. Your significant others can also help you enjoy the festive season more. If you are wearing your hearing aids consistently and ensuring they are working optimally, then they will most likely be willing to help you fill in the gaps without resentment. By simply calling your name or tapping you on the shoulder before speaking, they can avoid having to consistently repeat themselves. This simple act gives you time to switch your attention and actively listen. As mentioned above, lipreading can add up to 40% more information to speech. So this is an easy win for you both. They might need a bit of reminding as this is not how we normally speak, especially with someone we are comfortable with. Two things make this difficult. Hearing aids can only pick up speech from around seven (7) metres away and speech drops by half for every two metres it travels. So if they are serious about you hearing what is being said, they’ll need to take this into consideration. This one again comes down to lip reading. If you cover your mouth, then I can’t lipread. Repeating something that is misheard can help, but a much better approach is to rephrase. Use different words to convey the same message. This gives you much more context and redundancy, and dramatically increases the possibility that the message will be heard accurately. Speaking louder is helpful if you were whispering before, but shouting is counter productive. Hearing aids can make soft sounds louder, but they also make loud sounds softer to protect the ear from further damage. When a person shouts at you, this could bring the aid into saturation, which can distort the speech in order to protect you hearing. Rapid speech is very hard to understand even with normal hearing. With hearing loss, it is a hundred times harder. By the time you have figured out what was said in the first sentence, they speaker might be on the third and the whole message is lost. Don’t try slowing down your speech by dragging your words. Simply put a slight pause between sentences. You’ll notice an immediate improvement. Fluid conversation can switch between themes quite rapidly. This is fine for people with normal hearing as there is so much redundancy available, that we can quickly switch topics. With hearing loss, even when using hearing aids, redundancy falls away. So it is very easy to still think in terms of the old topic if a theme has switched, particularly if the switch was subtle or you were momentarily distracted. Your significant others can help by making it more obvious that you are talking about another topic. Sometimes you simply have to tell others that you have a hearing loss. It is helpful if they know you are really interested in what they are saying, but you need some help. The best things they can do is face you when they speak, put slightly longer pauses between their words and don’t shout. All these tricks are not enough for some. In that case a significant other can act as a hearing buddy, simply rephrasing what others have said in a clear way, so you can hear them well. The hearing buddy is best placed where you can hear them well and see their lips clearly as in the tips above. They can also alert you when the theme has changed and get your attention when someone else wants to involve you in conversation. I hope you found these tips helpful. Feel free to contact us if you need any assistance. Thanks for all the information, it could be a great help to me. I hope you and your family also have a great Christmas and a very Happy New Year. Kind regards Ann Thorpe another satisfied customer. All the very best to you and your family over this holiday period. Thanks for your end of year message. The Tips Section are really important as we h/aid wearers need to be reminded to think and act to the advantage of our plastic ear pieces. You guys are great because you care. Thanks for that and please enjoy your break and all the best in the New Year. You are very welcome Peter. Look after yourself and your family during this holiday period.